Bob Peter (Coach Bob) puts over 25 years of coaching, training and facilitating experience to work for his clients. He has specialized in using assessments – such as DISC and The Five Behaviors – to bring insight and value to individuals and teams. He has worked to improve communication, teamwork and productivity at all levels of the organization, front-line to executive leadership team members. 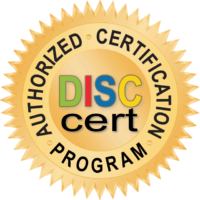 Bob also trains others to become DISC Certified. Bob advocates this “train-the-trainer” certification for DISC to bring the highest return on investment for his client companies. He has broad experience in many corporate environments, including Manufacturing, Finance, Health Care, Retail and Higher Education. For a more details, please visit Bob’s LinkedIn profile. Organizations, teams and individuals work with Bob because of his simple, direct and caring approach. Bob relates to team members at all levels of the organization, building relationships and obtaining results quickly. He analyzes problems and opportunities and develops solutions that fully leverage current resources to minimize investment. Assessment, coaching, teambuilding and training solutions are delivered with passion and enthusiasm. Bob strives to take things to the next level for his clients. As an example, facilitator led training programs include pre-session assignments, post-session application communications and post-session peer-coaching assignments. Structured processes ensure what is learned is applied. If it isn’t enjoyable and meaningful, it’s a waste of time and money. © Insights2Improvement 2018 | Do we have your latest Contact Info? Get a quick overview of the DISC model. 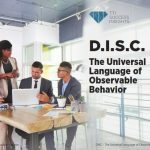 We define what DISC is and provide a foundation for understanding the natural and adaptive styles. BE BETTER, get the tips and tools you need.